Blockchain moved from mostly hype in 2017 to early technological developments, proofs-of-concept and pilot projects during the last 12 months. Deloitte, in a late summer report, predicted a breakout moment for the distributed ledger technology is approaching as almost 75 percent of research respondents see a compelling business case for DLT. So it’s no surprise that major tech vendors are embracing Blockchain. Here are five such moves made in 2018. Walmart filed a blockchain patent. This one is still in nascent stages but the retail giant applied to protect a method for accessing EHR data via DLT in a patent originally filed on Dec. 14, 2016 that was made public in 2018. Exactly what will come of it remains to be seen, of course, but early reports suggest an RFID scanner accompanied by a wearable that enables emergency responders to access an unconscious patient’s medical data. Change Healthcare made enterprise blockchain technology available. 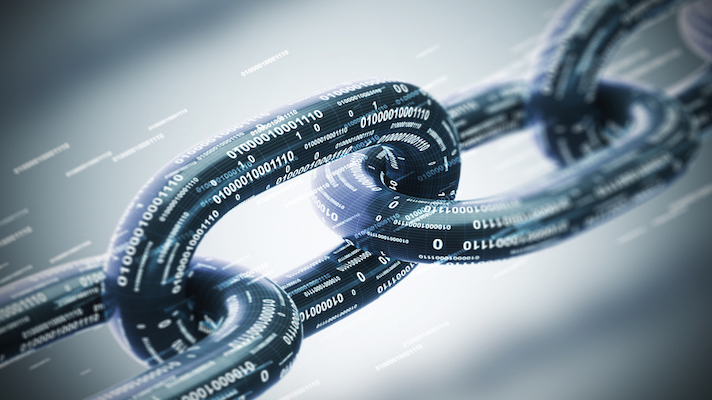 With an eye on both hospitals and payers, the vendor injected its Intelligent Healthcare Network with the open source blockchain tool Hyper Ledger Fabric 1.0 to bring transparency and efficiency for better auditability, traceability and trust. Later in the year, Change also put its blockchain tech on Amazon Web Services cloud to enable users to track claims submissions and remittances. Amazon made a blockchain move of its own. The company announced blockchain templates, with the first versions for finance and healthcare, that it said give users pre-set frameworks for Ethereum and Hyperledger Fabric to make it easier to create blockchain projects and networks with open source tech. The CDC enlisted IBM and Intel in blockchain pilots to fight the opioid epidemic. Running multiple tests of the DLT, the Centers for Disease Control and Prevention is working with IBM to on a health surveillance system for public health agencies to survey physicians about the prescription practices within their patient populations and the CDC is working with Intel and others on a project to deploy blockchain to more effectively trace how pills are distributed and move from point to point. Gartner cautioned against waiting too long to get started. The analyst house said that hospitals and other organizations ignoring blockchain now run the risk of getting left behind as their rivals undertake initiatives to put the technology to work. Gartner also pointed out that blockchain is neither simple nor straightforward as it will basically force hospitals to decentralize business process and models. Walmart and Amazon making a move on blockchain is something we should have expected. @hola55 absolutely. Big chains are evolving with blockchain. Can't believe what merely one year has brought to our world. Whoa, Walmart got a patent. Ooo, Amazon's on the move. @supermario They do have better essentials at the ready than the small ones. @supermario R&D teams, higher number of specialised manpower. @hola55 I see your point. R&D gives them an advantage. @supermario absolutely. Research goes a long way. @hola55 It does, huh. But we've got to see how they utilise the research results though. @supermario Oh yeah. How people process and make use of information plays a very important role. @hola55 This is something people should be taught, making decisions. @supermario Yes. Well, I did learn a little something something in my uni days, but it was just some random explanation that doesn't really help in real life. @hola55 I do think though, that decision-making is not really something that can be taught easily.